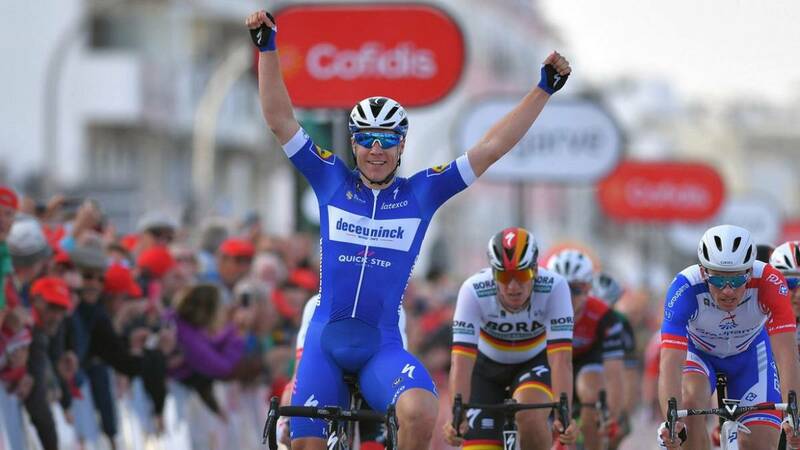 The Dutchman Fabio Jacobsen (Deceuninck Quick Step) has retained the title in the Grand Prize Climbing by winning the sprint in the Belgian classic. The Dutchman Fabio Jacobsen (Deceuninck Quick Step) has retained the title in the Grand Prize Climbing by winning the sprint in the classic played through 202.3 kilometers between Borsele and Schoten. Jakobesen, 22, achieved the double to the sprint finishing off the work of his team in the last kilometers to break down the escape of the Norwegian Boasson Hagen and promote a sprint in which the Dutch pearl was superior. He raised his arms in front of the German Max Walscheid (Sunweb) and the British Chris Lawless (Sky) . An exciting outcome on the 107 of the test, who lived an intense fight from start to finish, with cuts in the peloton propitiated by the wind and attempts of flight that forced to work by piece to the equipment of the sprinters. Jakobsen left between the favorites, supported by a Deceuninck that already harves 22 victories in the season, but the opposition was strong by the presence of runners like Germans Marcel Kittel, five times winner, André Greipel and Pascal Ackermann. The first break was starring Dries De Bondt (Corendon-Circus) and Brian van Goethem (Lotto Soudal), but the Sky tensed the rite to ruin the project, which led to the first break in the group and nerves that caused falls. The winner of the stage was cut back, although his team immediately led to the first car of the race. A 40 of goal tried by Van Bilsen (Cofidis) and Dries De Bondt (Corendon-Circus), but this time it was the Arkea of Andre Greipel who had to get down to work. In the first step by Schoten the fugitives had only 1.20 minutes ahead, y in the second, to 16 of goal was left alone in front of Bondt. The madness for the placement and the movements of the Deceuninck for the control of the arrival provoked more tension and falls. The Norwegian Boasson Hagen (Dimension Data) started at 10 from opening a gap of 15 seconds. On the slopes of Broekstraat barely endured the Nordic cyclist, who could not materialize his dream because the Deceuninck and the Sky they threw the glove just 2 kilometers from the banner. The Belgian team threw Jakobsen, and the Dutchman did the homework as expected. It was his second win of the season, as he took a stage in the Tour of the Algarve. .5. Roy Jans (BEL) Corendon-Circus.